Anker has some interesting products for you. To start with, there’s the Space NC, noise cancelling headphones with over-ear cushions. 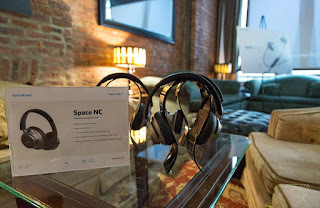 They have 40mm dynamic drivers and supposedly up to 20 hours of wireless battery life with noise cancellation on. The Noise Cancelation is not awesome, but it is decent enough. And at 99.99, the price is also not bad. In the home space, Anker is also adding another set of Bluetooth speakers that have decent bass. The Flare and Flare+ blast a lot of sound out compared to their petite sizes and they can be paired to fill up a larger room. The Flare and Flare+ speakers are rated IPX7 water resistant so you can also take them to the beach or pool. They light up on the bottom and you can toggle for different colors and patterns. 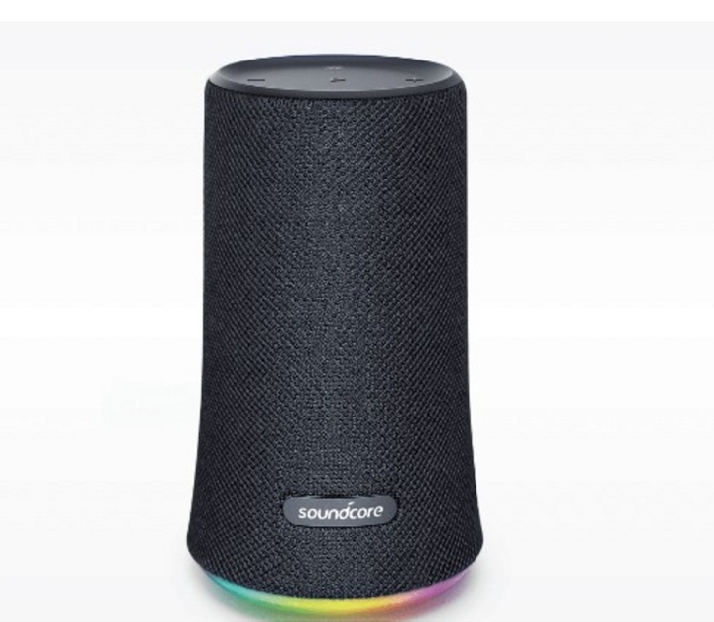 They look similar to the Amazon Echo, but they come in more colours with Black, Grey, Blue and Red. They come in at 59.99 and 99.99 respectively, with the Flare+ being the louder of the two. 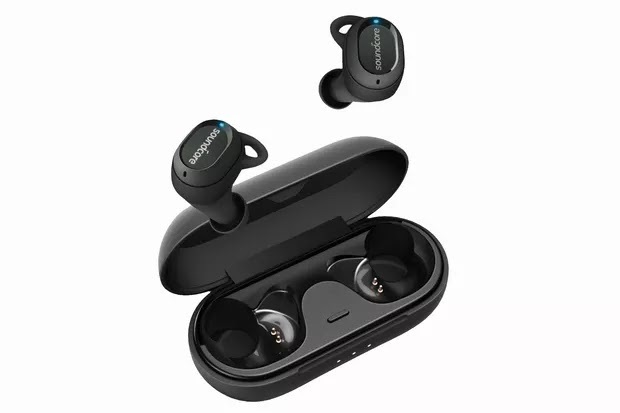 The Sports Audio sector is also not left out with new earbuds that come with an extra coating that protects them from sweat. Anker’s says this is necessary because sweat contains salt, which corrodes metal over time. Thus here comes the Spirit Series, which are three pairs of earbuds, each with different prices and battery lives. The Spirit and Spirit X both cost $39.99, but the Spirit is in-ear and the Spirit X has hooks. Finally, there’s the Spirit Pro, which gets a boost in sound from a Qualcomm chip, up to 10 hours of battery life, and costs 10 dollars more. 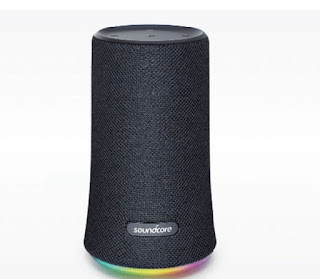 So if you love good speakers, Soundcore has got you covered.